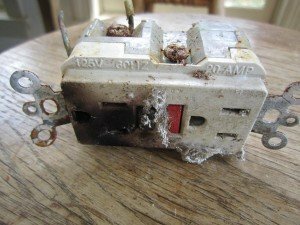 If your receptacles are loose when plugging in an appliance or the plastic face is broken, replacing the device is necessary to protect from arcing or sparking. Switches become worn with use and eventually the mechanical contacts will begin to arc upon contact. Once a spark or an arcing sound is heard, replacing the device is needed. If your receptacles or switches are warm to the touch that is a signal that the receptacle is defective. 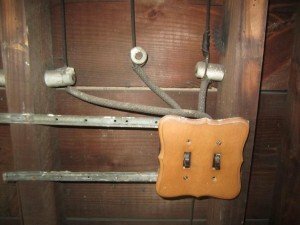 When replacing receptacles keep in mind the latest from National Electrical Codes (NEC). All receptacles must be tamper resistant. Receptacles changed on; exterior, bathroom, kitchen counter areas, unfinished basements, and garages must have ground fault protection (GFCI). We at Lauterborn Electric recommend leaving your receptacle and switch replacements to the professionals. We often see improper installations that cause a loss of power or an unsafe condition. For all of your electrical needs contact your Philadelphia licensed electrician Lauterborn Electric.